Guys I am so excited by my latest WIP project, I had to share this with you. 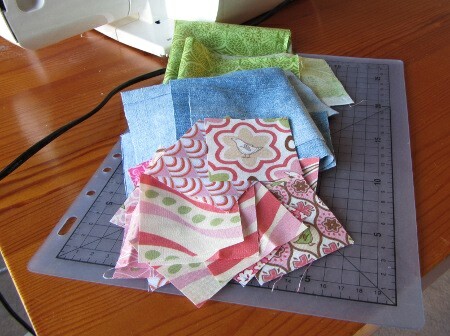 I am making Katie’s XOXO Zippered Pouch from Swim, Bike, Quilt. I am bouncing all over the place because this is my first ever patchwork project (scary!) and I have found the loveliest fabric for this. I am using pieces from an old pair of jeans and some of Pear Tree Pink fabric from Andover Fabrics. It is going to be amazing. So far I have only found time to do the cutting though, but I have a feeling it won’t be a early night sleep.